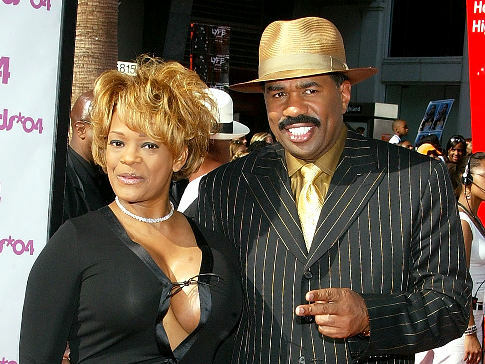 Word Has It that comedian Steve Harvey’s ex-wife Mary isn’t backing down that easily. Over the weekend, Mary put together a series of YouTube videos, putting Steve on blast. She claims that he swindled her out of money, manipulated her into giving up their son Quinton and turning him against her. Pop the hood and see what Mary had to say. This situation sounds like The Diary of a Mad Black Woman! It’s going down! This entry was posted in Entertainment News and tagged cheating, Mary Harvey, Steve Harvey, Steve Harvey Morning Show, Steve Harvey's ex-wife. Bookmark the permalink.